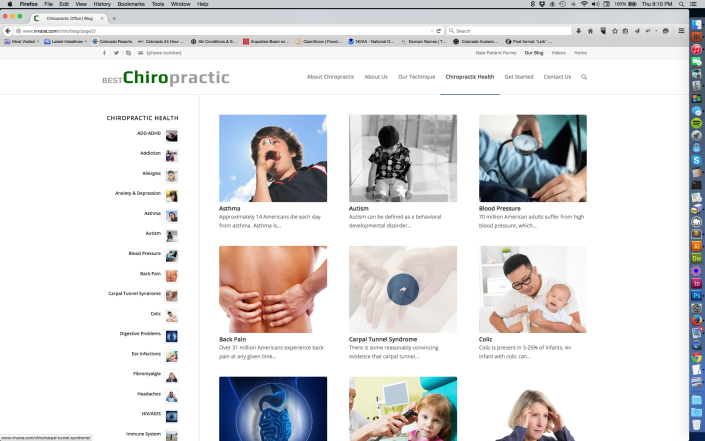 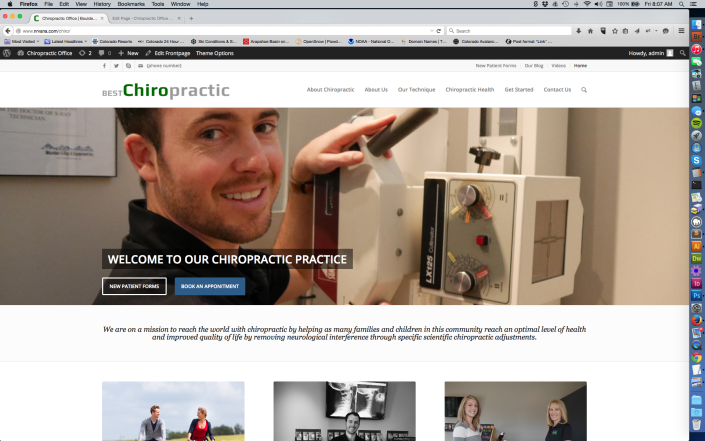 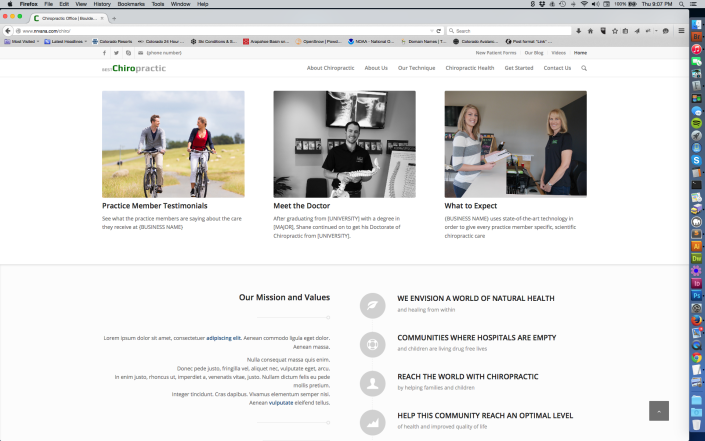 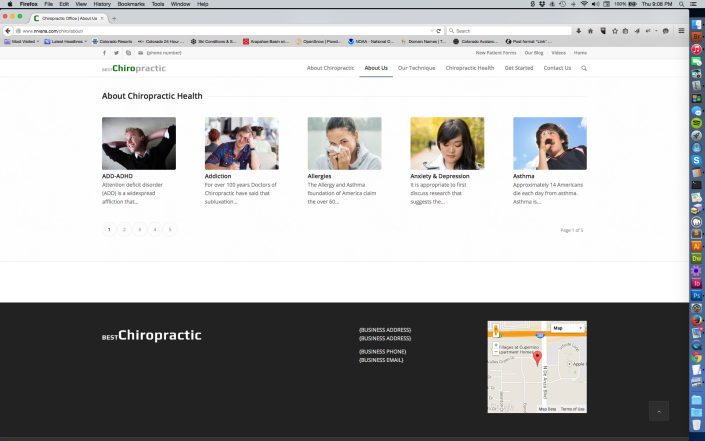 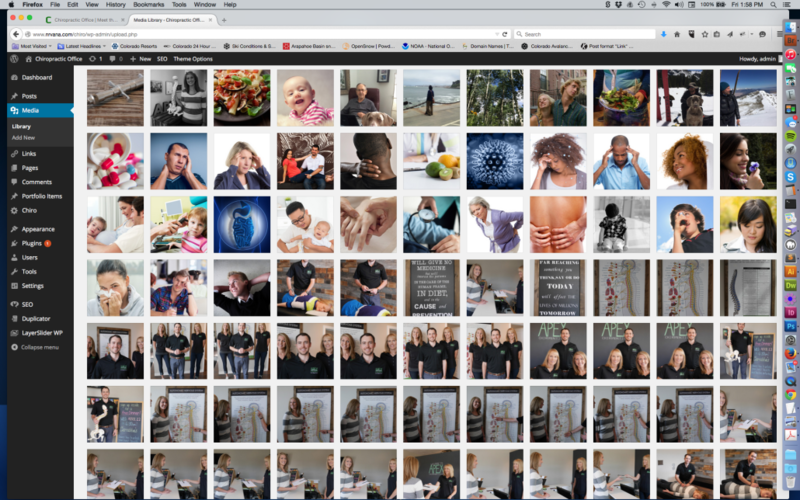 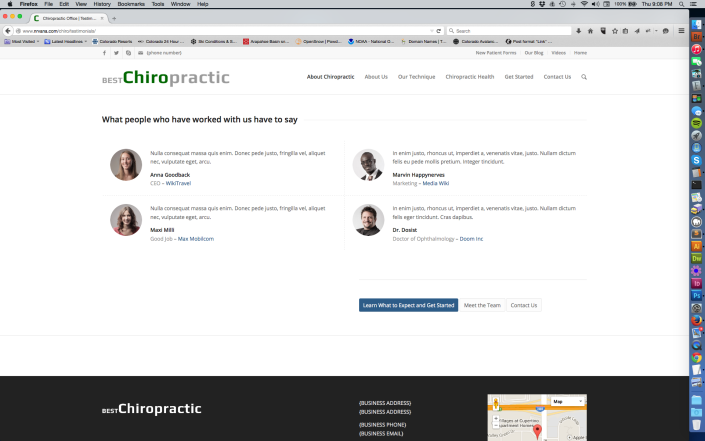 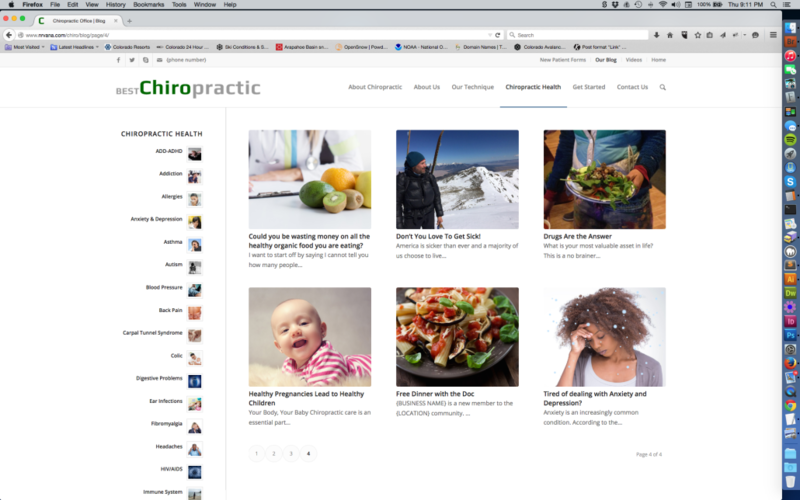 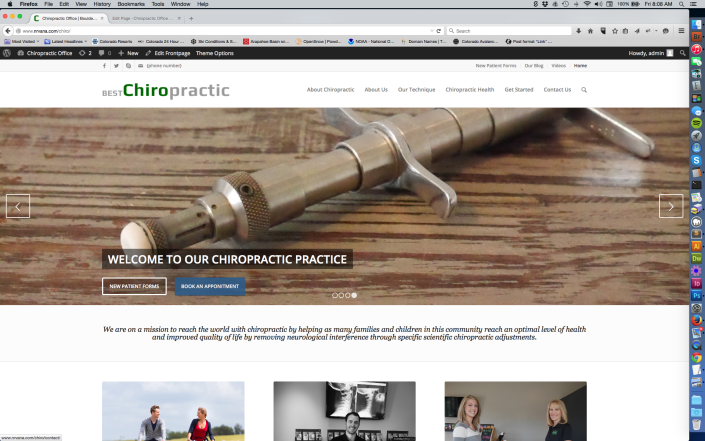 Your branded WordPress chiropractic website will be built from the template in the screenshots below. 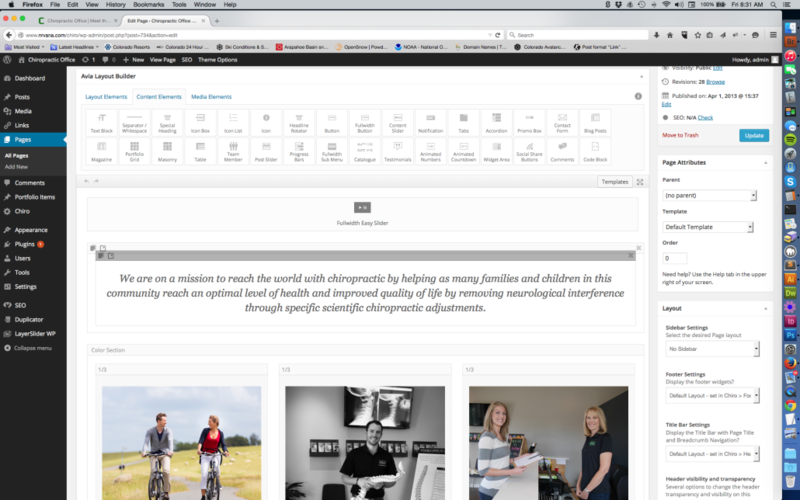 This template was built in house and is a finished website. 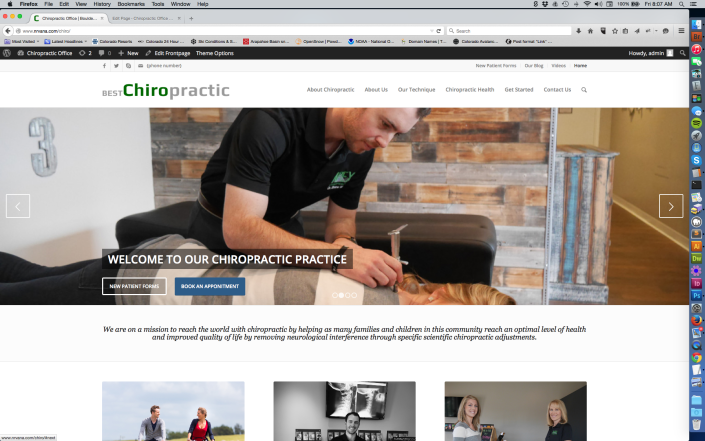 Our designers will hand customize, and brand your chiropractic website from the template—with your logo, fonts, colors, images and copy. 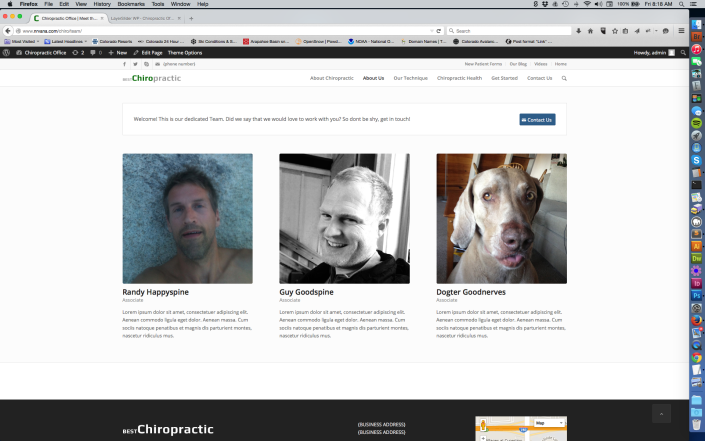 Our goal is that each finished website will look very different. 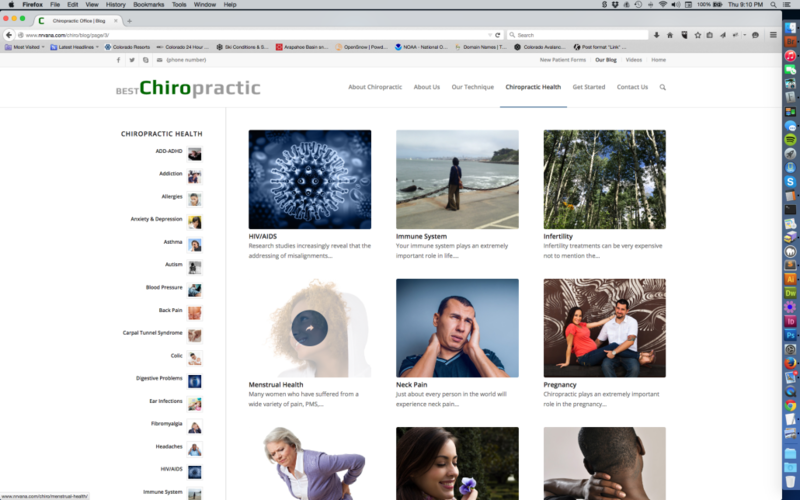 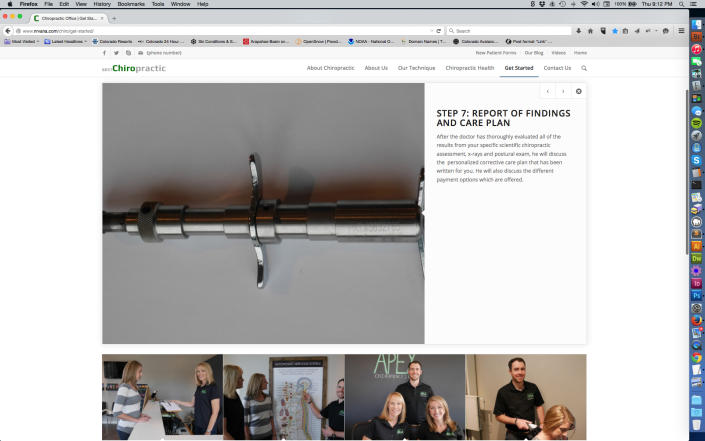 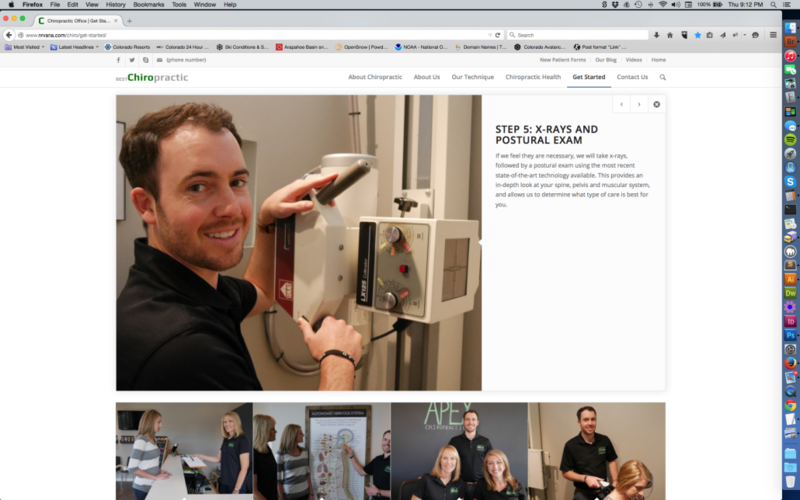 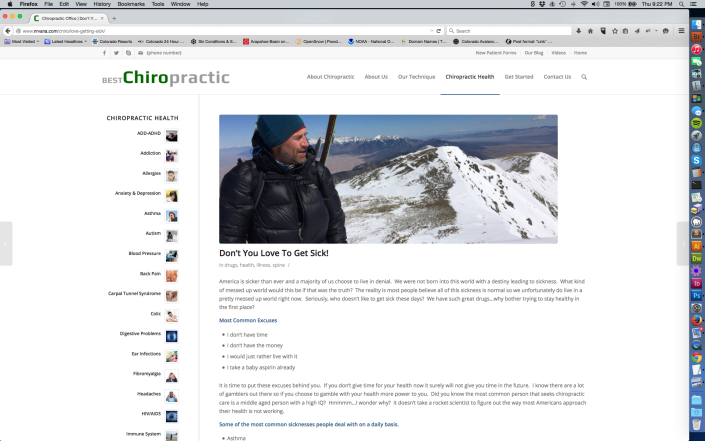 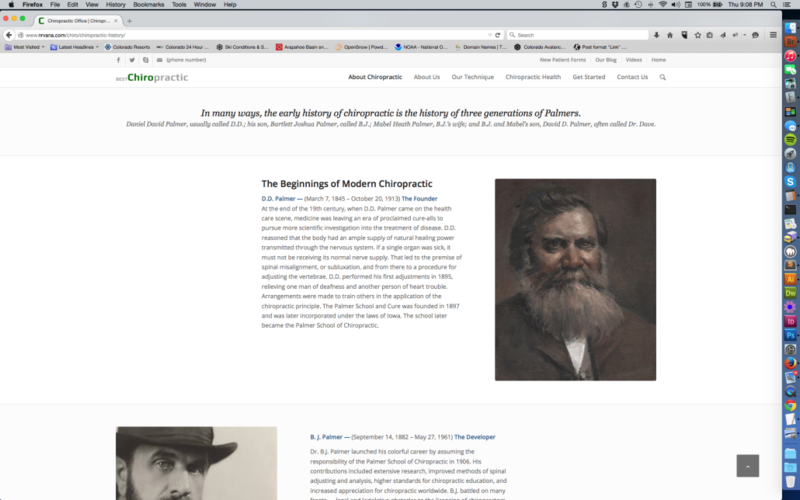 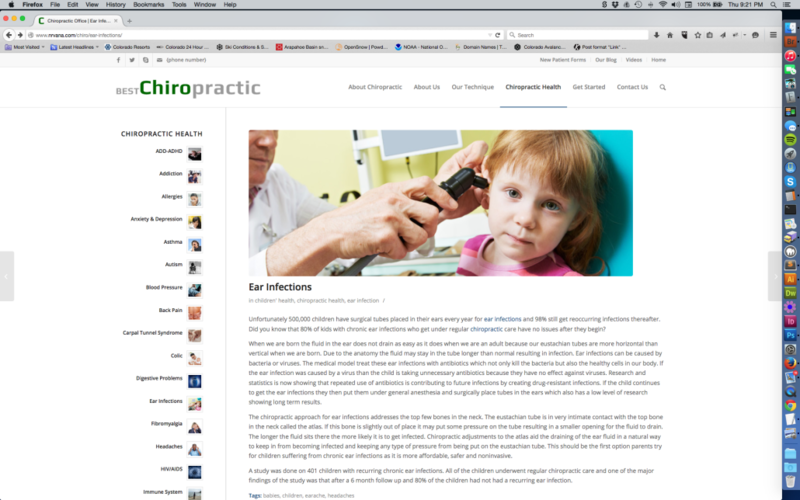 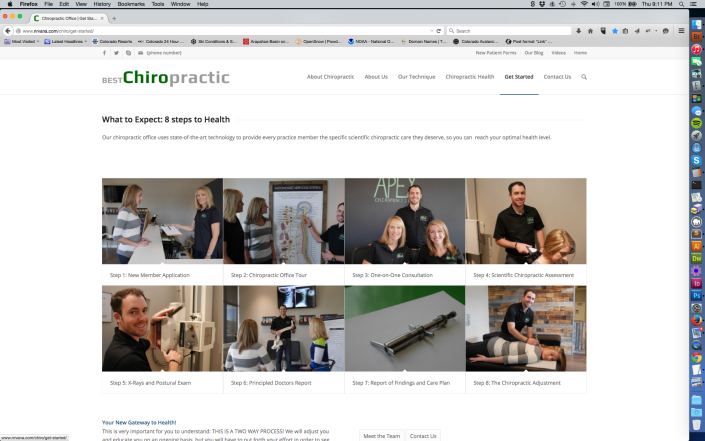 The website comes full of rich chiropractic content that you are free to use, including blog posts, images, copy and patient forms. 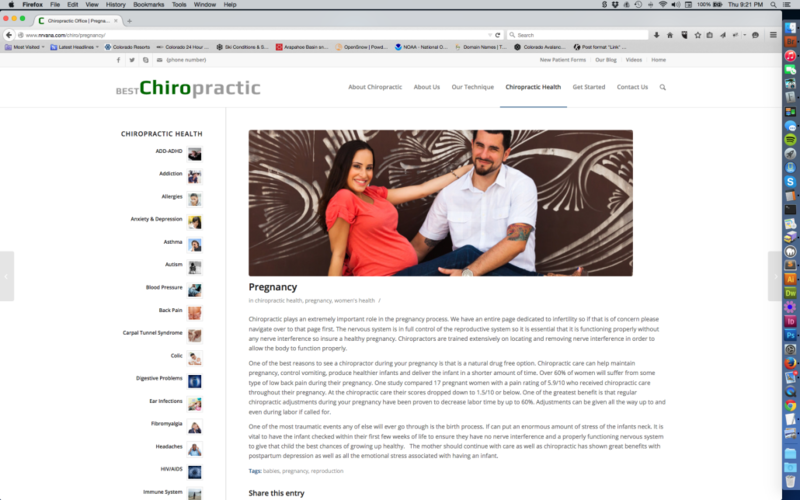 All internally owned and licensed to you. 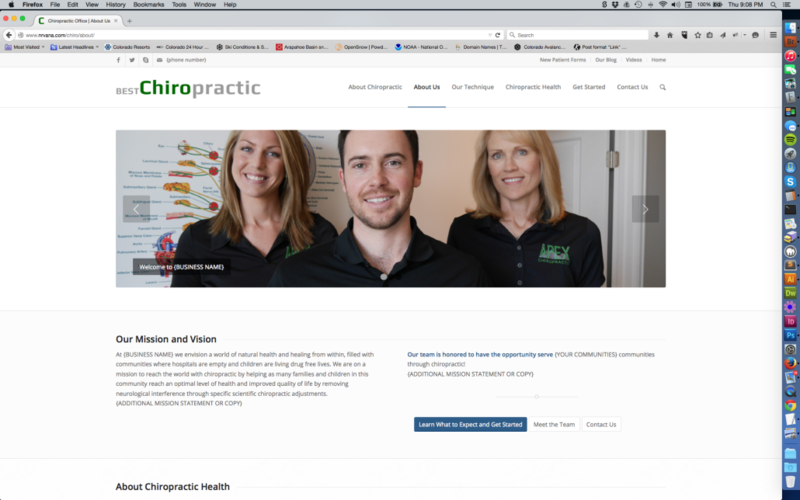 The cost of this website is $1998—a savings of over 55% off a value of $4500. $1998 includes the cost of the Premium theme, and one year of web-hosting. 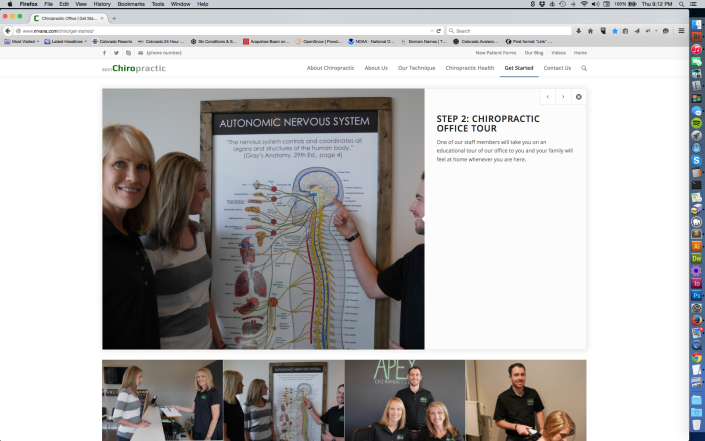 It’s $999 to get started. You will be billed an additional $999 when the website is ready for launch. 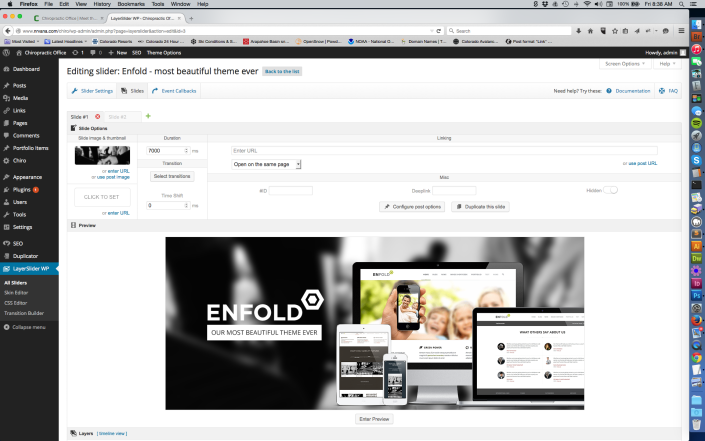 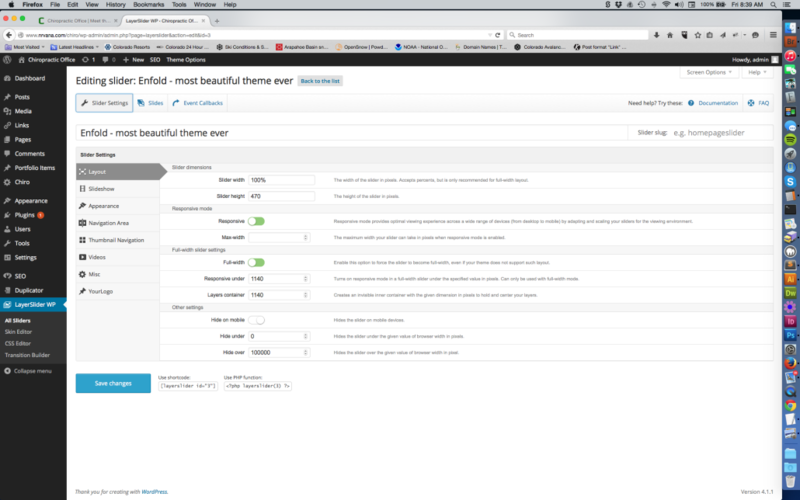 Open source WordPress web application and Premium theme. 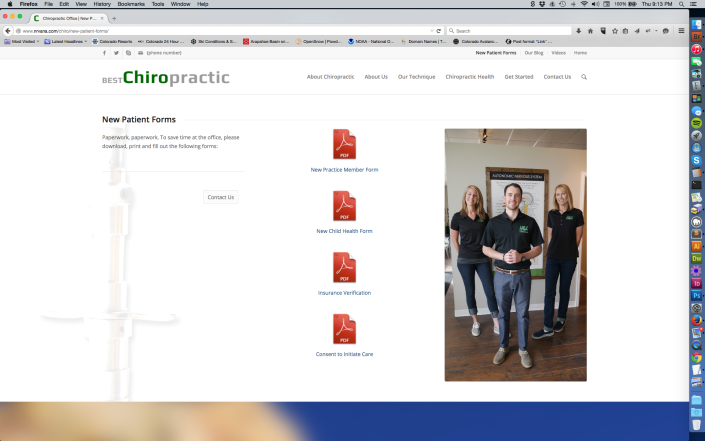 Built out for you. 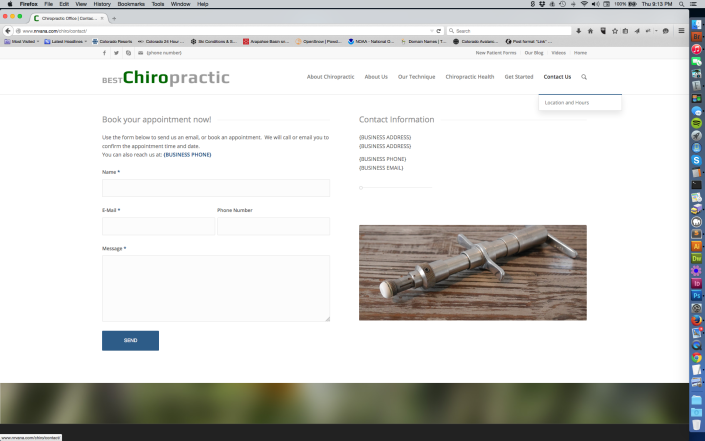 Maintenance packages. 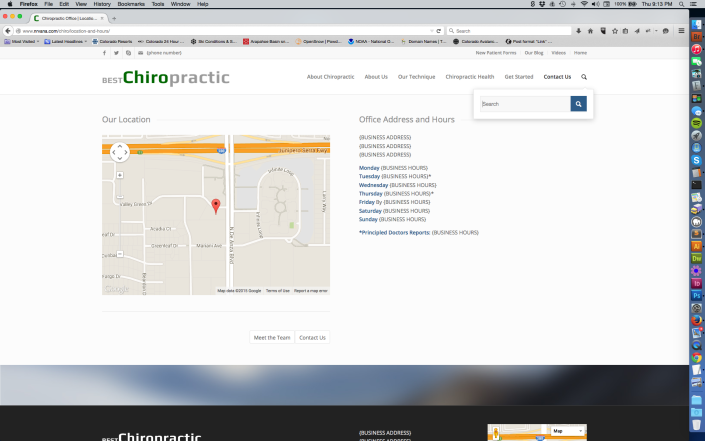 Free online support and free software updates. 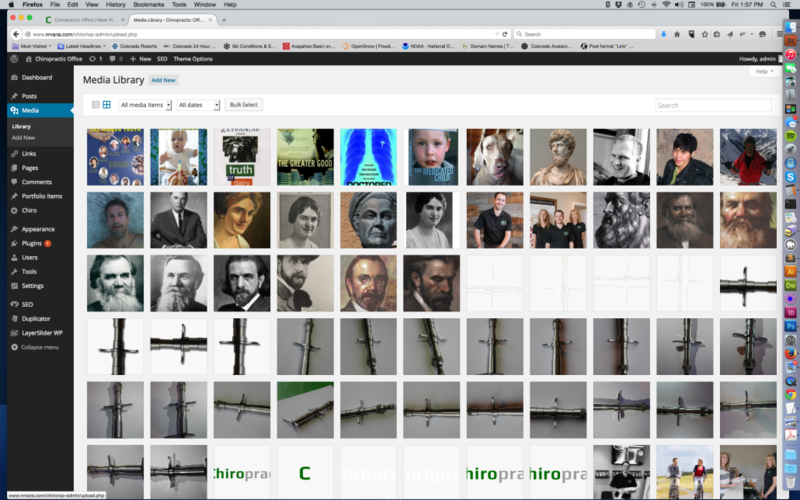 AVIA drag and drop layout builder for pages is intuitive and a sheer delight to operate. Shopping cart, scheduling, calendar, language, Twitter and MailChimp plug-ins installed. Three months of Godaddy hosting included—your own account and your own login. 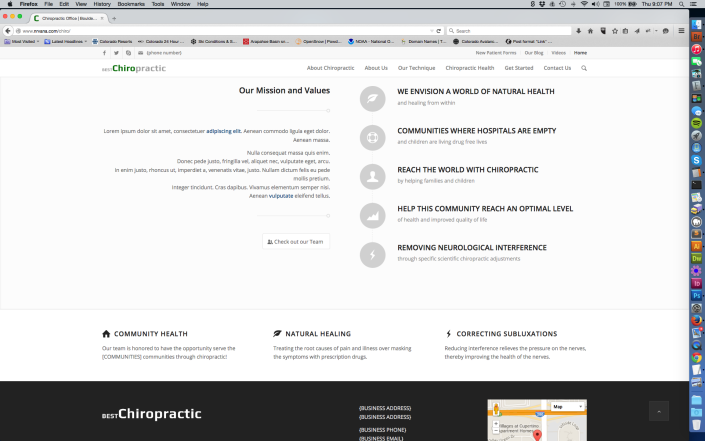 $80/year after the first year. 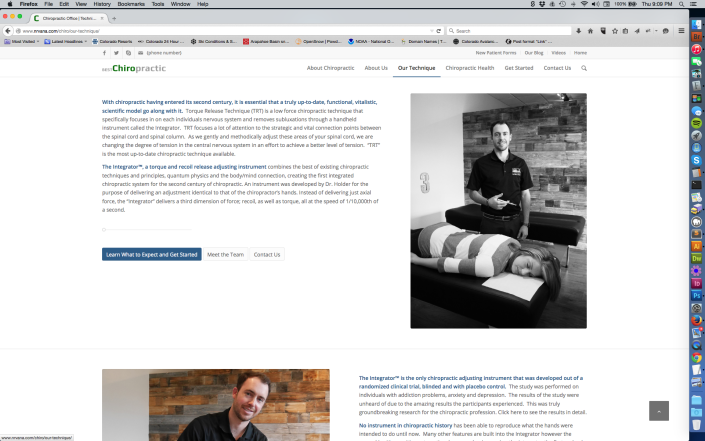 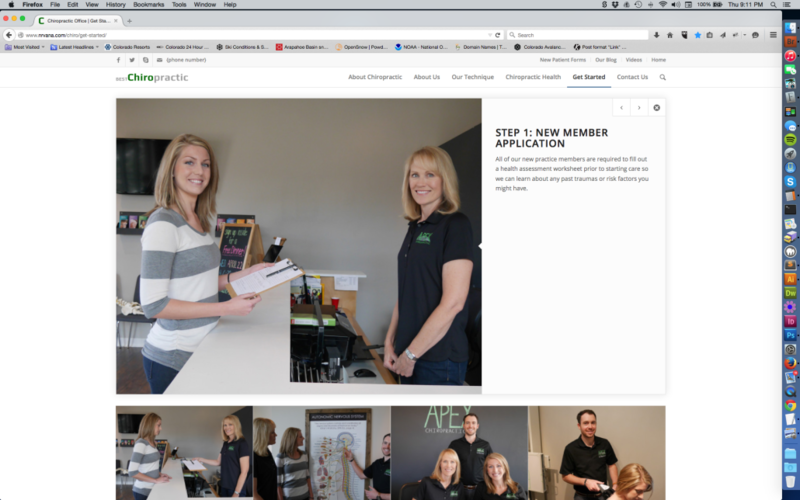 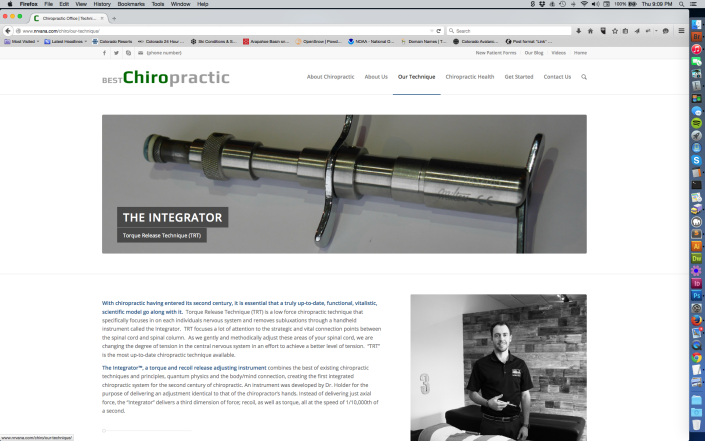 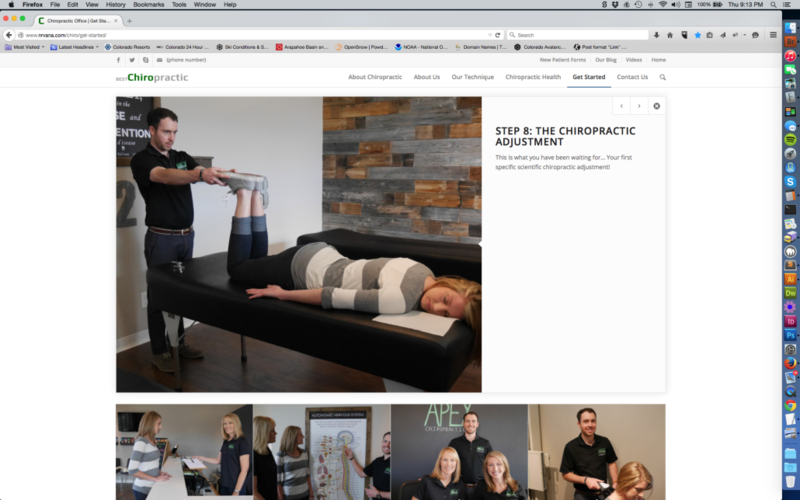 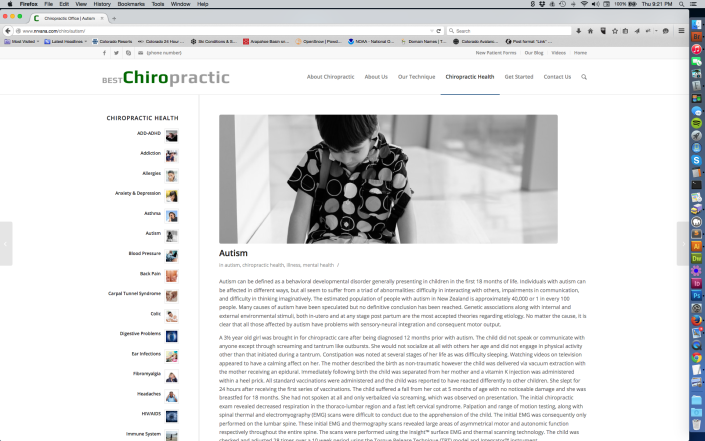 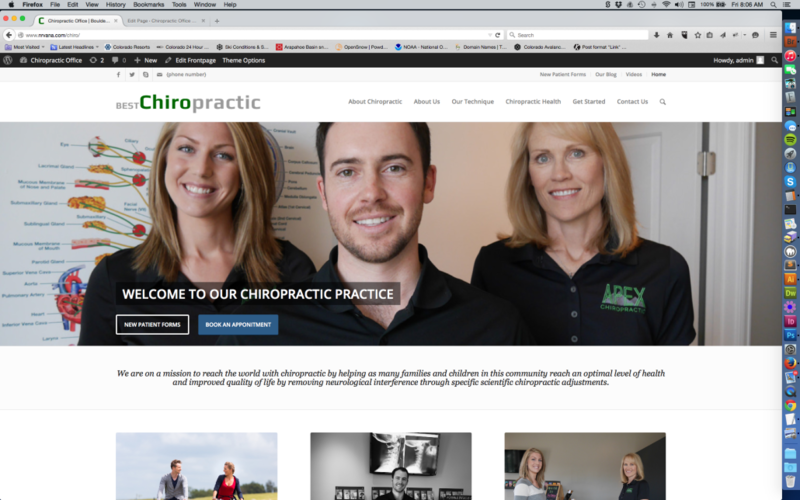 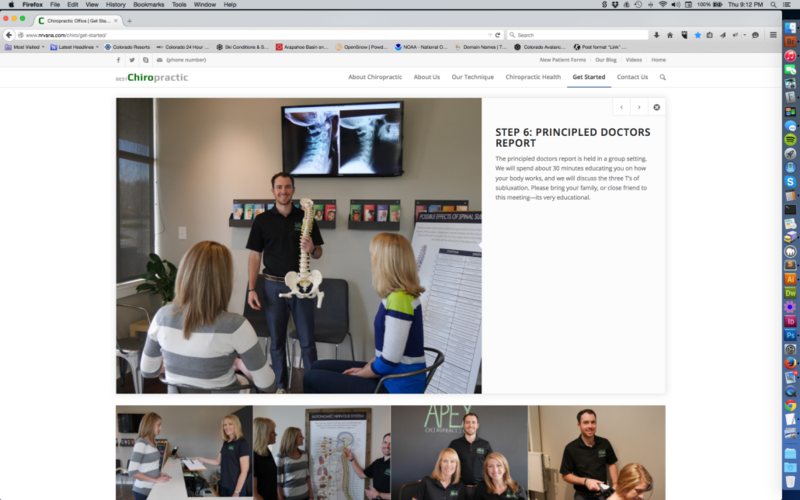 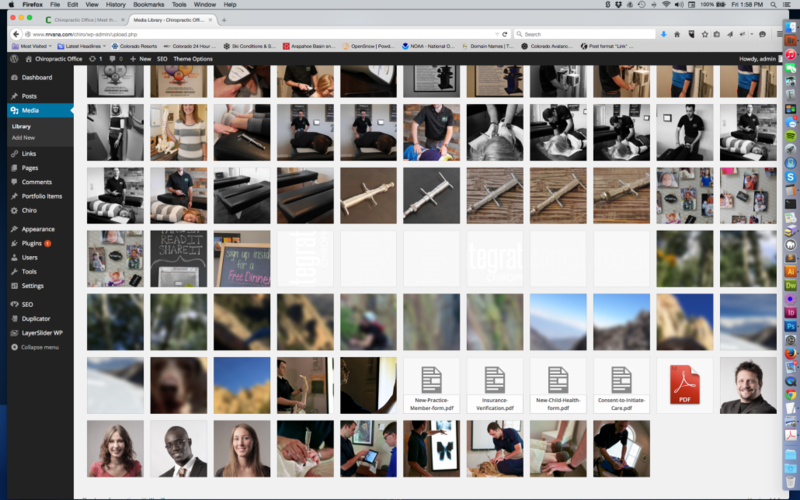 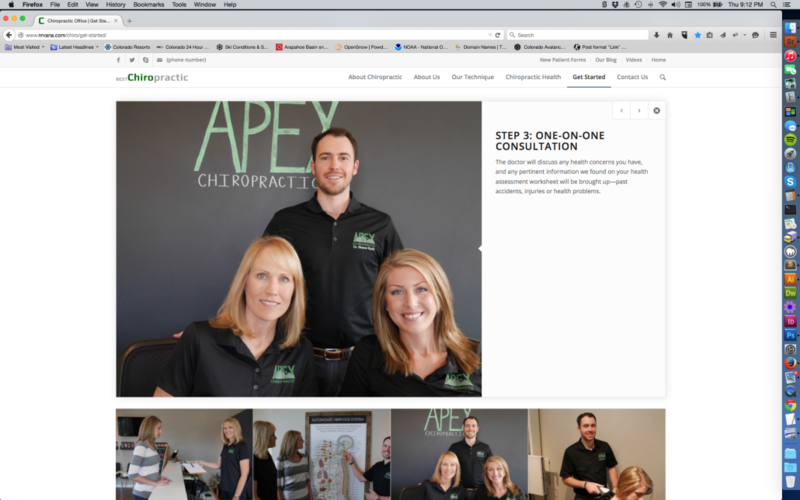 Your chiropractic website begins with this template and will contain all this content. 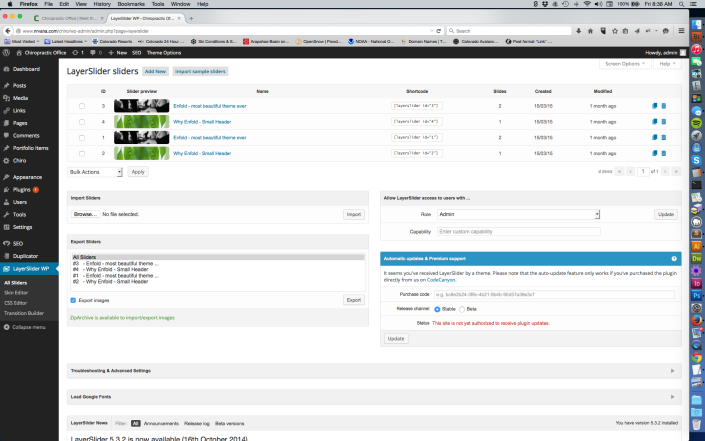 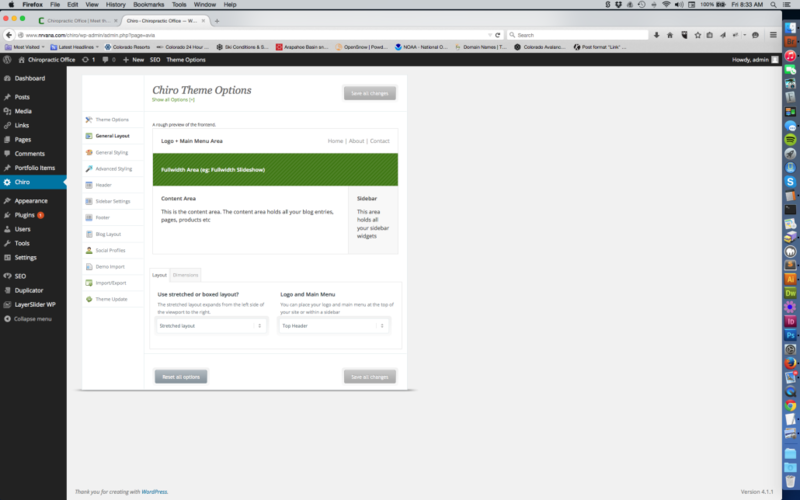 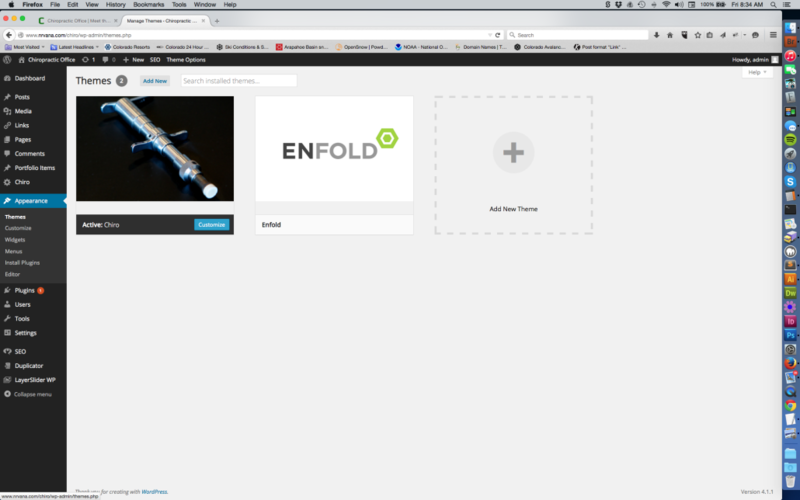 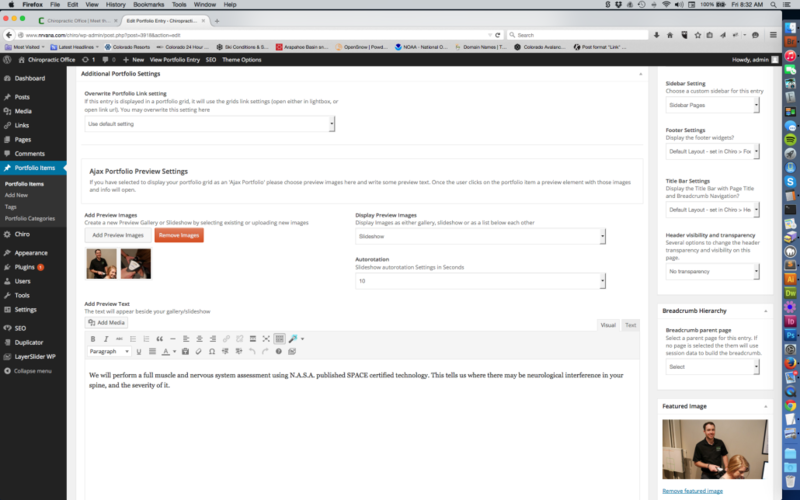 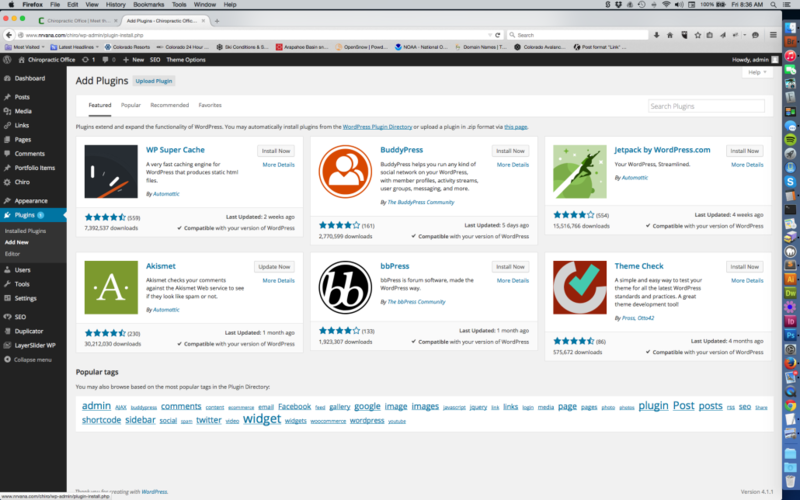 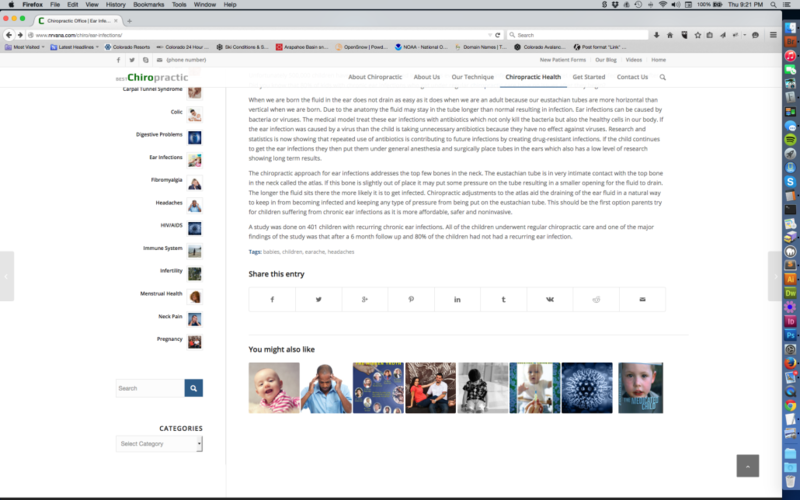 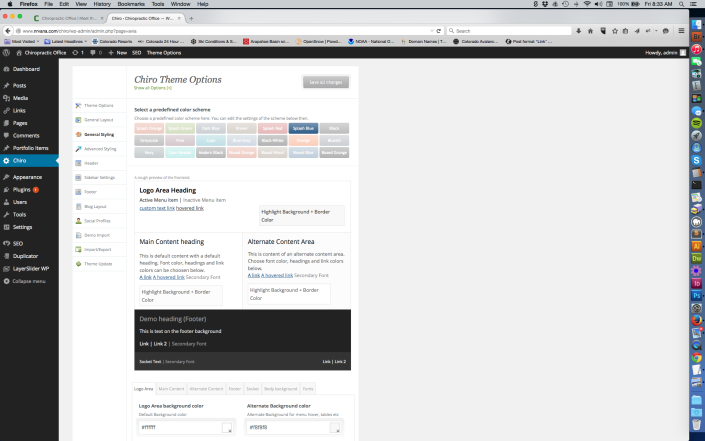 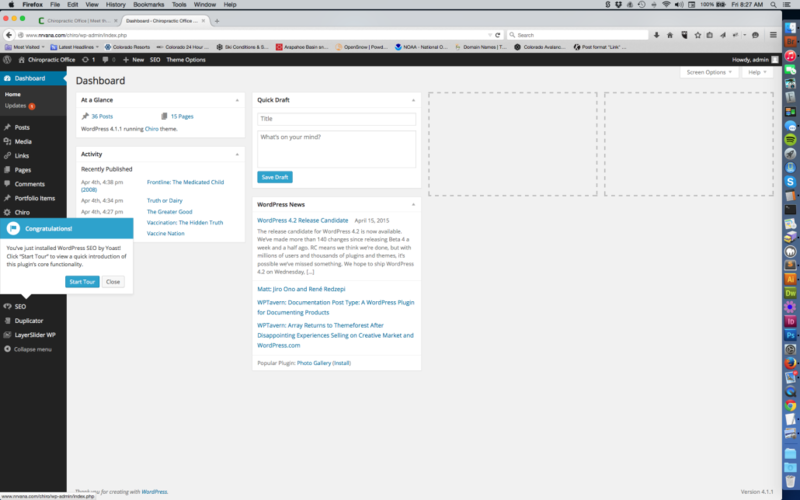 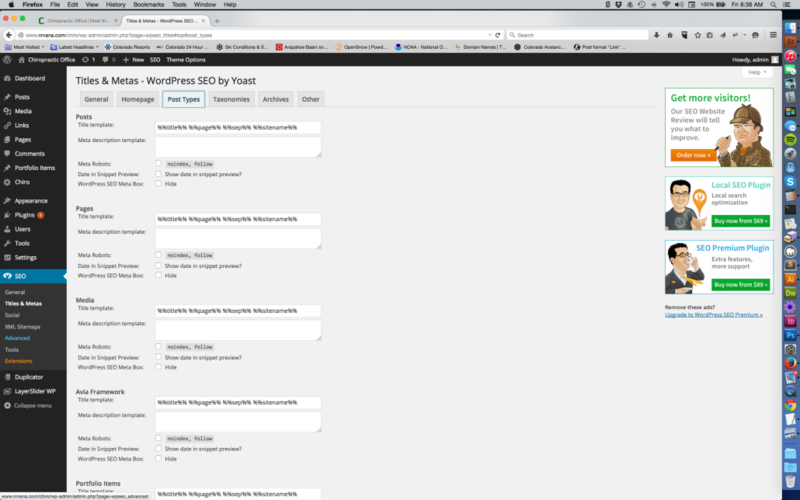 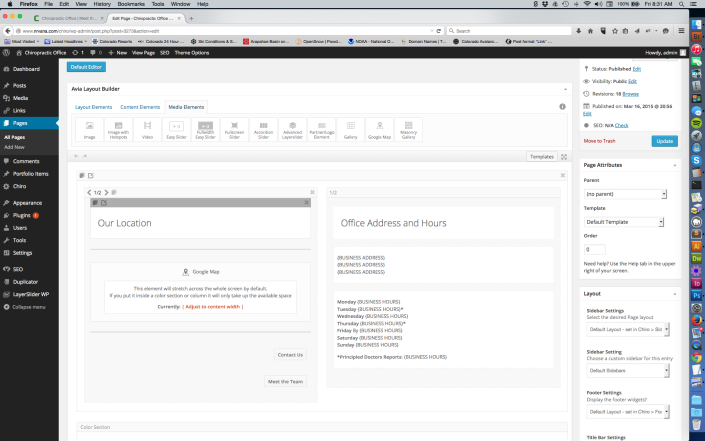 The WordPress control panel—you will get all these images, and all this functionality.